One year after Dedication had been recorded in Tokyo, Hancock flew out to Japan again with his band for a tour of twenty cities in June 1975. The band wrapped up their journey with two performances in Tokyo, which were recorded for the Japan-only release, Flood. Here, the group is enlarged to contain guitarist Blackbird McKnight, who was a member of The Headhunters (a separate band consisting of Bennie Maupin, Paul Jackson, Mike Clark, Bill Summers, Blackbird McKnight, and, later on, keyboarder Paul Potyen) and also played on the album Survival Of The Fittest, which The Headhunters recorded the same year for Arista. 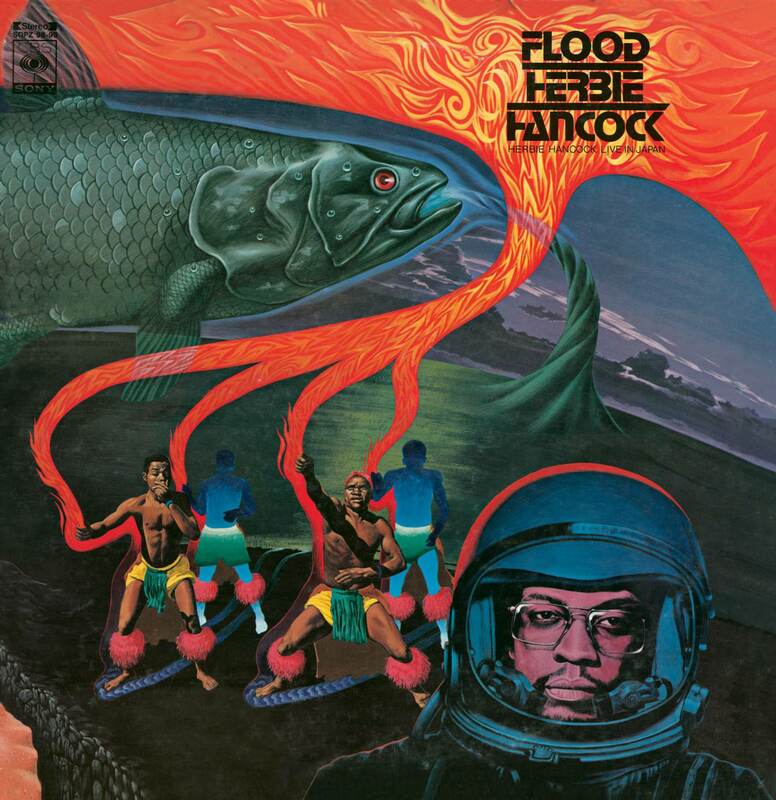 “Herbie Hancock and the Head Hunters take to the road in the live double album Flood, recorded and released only in Japan. Contrary to the impression left by his American releases at this time, Hancock was still very much attached to the acoustic piano, as his erudite opening workout on “Maiden Voyage/Actual Proof” with his funk rhythm section makes clear. The electric keyboards, mostly Rhodes piano and clavinet, make their first appearances on side two, where Hancock now becomes more of a funky adjunct to the rhythm section, bumping along with a superb feeling for the groove while Bennie Maupin takes the high road above on a panoply of winds.